On Monday, 18 July 2016, the British government will seek the approval of parliament for its proposal to renew the UK’s Trident nuclear weapons system. This involves the replacement of the four British-built submarines from which US-supplied Trident II missiles carrying nuclear warheads manufactured in Britain can be launched. The first of the replacement submarines is planned to enter service in the early 2030s. The last Labour government initiated the process of replacement by publishing a White Paper, The Future of the United Kingdom’s Nuclear Deterrent, in December 2006. This recommended that the new system should provide « continuous at-sea deterrence » (CASD) as the current one does – in other words, that at least one submarine be on patrol armed with Trident missiles at any time. Obviously, this reasoning applies with even greater force to weaker states, like Iran, that are threatened by stronger ones, like the US and Israel. Indeed, on the basis of this reasoning, it is impossible to avoid the conclusion that every state should get nuclear weapons, if it can possibly afford them. The key question for those who assert the UK’s right to possess nuclear weapons is how can they reasonably deny that right to any other state in the world? The White Paper proposal was approved by the House of Commons in March 2007 by 409 votes to 161, the Labour government enjoying solid support from the Conservative MPs for its proposal. However, around a quarter of Labour MPs defied their government and joined the Liberal Democrats, the SNP and Plaid Cymru in voting against. The final decision will be taken on Monday. The outcome is not in doubt: with an overall majority in the House of Commons, the Conservative government can win the vote on its own. Labour leader Jeremy Corbyn is opposed to nuclear weapons but a majority of his MPs will vote in favour. The Liberal Democrats, the SNP and Plaid Cymru will again oppose. There is little doubt that the UK will have a submarine-based nuclear weapons system that could remain operational into the 2060s. The official estimate of the cost of building the replacement submarines is now £31 bn (US$42 bn), up from £25 bn in 2011 (see House of Commons Briefing Paper, Replacing the UK’s ‘Trident’ Nuclear Deterrent, 12 July 2016). A contingency of £10 bn will also be set aside, giving an upper-end estimate of the submarine acquisition cost of £41 bn. As for the in-service costs of the nuclear weapons system as a whole, the Commons Briefing Paper suggests that might be as much as £140 bnn over its projected 30-year lifetime. Conservative and Labour advocates for the retention of the Trident system invariably describe it as an “independent” nuclear deterrent. For instance, on 9 April 2015, Defence Secretary Michael Fallon said that, if a Labour government scrapped it, this “would shatter the 60-year consensus that has existed among governments of all colours in favour of an operationally independent nuclear deterrent”. Labour responded by insisting that “Labour is committed to maintaining a minimum, credible, independent nuclear deterrent, delivered through a ‘continuous at-sea deterrent’.” But is Britain’s nuclear deterrent really “independent”? At least eight (and perhaps nine) states ­in the world now possess functional nuclear weapons and the means of delivering them. All of them, bar one, manufacture and maintain their own nuclear weapons and the means of delivering them. All of them, bar one, have complete control over the use of their systems. In other words, all of them, bar one, possess what can reasonably be described as an “independent” nuclear deterrent that doesn’t rely on another state to provide vital parts of it. The exception is Britain. China has an “independent” nuclear deterrent. So has France, India, Israel, Pakistan, Russia and the US – and perhaps North Korea. Britain hasn’t. Unlike other states that have nuclear weapons systems, Britain is dependent on another state to manufacture an essential element of its only nuclear weapons system – the Trident missiles that are supposed to carry Britain’s weapons to target. These are manufactured by Lockheed Martin in the US. And Britain’s dependence on the US doesn’t end with the purchase of the missiles – Britain depends on the US Navy to service the missiles as well. A common pool of missiles is maintained at the US Strategic Weapons facility at Kings Bay, Georgia, USA, from which the US itself and Britain draw serviced missiles as required. There is some doubt about the degree of “operational” independence that Britain enjoys in respect of its nuclear weapons system (of which more later). But there is no doubt that Britain is dependent on the US for the manufacture and maintenance of a key element of the system. So, to call it an “independent” nuclear deterrent is fraudulent. The plain truth is that, if Britain doesn’t maintain friendly relations with the US, then it won’t have a functional nuclear weapons system, despite having spent billions of pounds of British taxpayers’ money on it – because the US would simply cease providing Britain with serviceable Trident missiles. So, there is a strong incentive for Britain to follow the US in foreign policy, since independence from the US in foreign policy could lead to its nuclear weapons system becoming non-functional. Sustained opposition to the US in foreign policy certainly would. As long as Britain is tied to the US by a requirement for US-supplied and maintained missiles for its nuclear weapons system, it cannot have a wholly independent foreign policy. 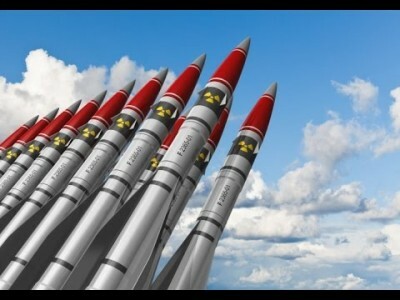 In these circumstances, it is highly unlikely that Britain would use its nuclear weapons system to strike a target without the approval of the US, whether or not it is theoretically possible for Britain to do so. So, it is absurd to describe it as an “independent” nuclear deterrent. The above applies to the UK’s current nuclear weapons system. But it applies equally to the proposed replacement. To ask the British taxpayer to fork out upwards of £200 bn in the pretence that the UK will continue to possess an “independent” nuclear deterrent is fraudulent. British governments have always insisted that Britain’s nuclear weapons system is “operationally” independent of the US. The December 2006 White Paper (4-6) states that “the UK’s current nuclear deterrent is fully operationally independent of the US”. Apparently, if a British prime minister decides to press the nuclear button, it is impossible for the US to stop the launch of missiles or prevent them from delivering British nuclear warheads to the selected target. Maybe so. Is a British prime minister really free to strike any target he/she chooses in this world with nuclear weapons, at a time of his choosing, using US-supplied missiles? I doubt that the US would sell any foreign power – even a close ally – a weapons system with which the foreign power is free to do catastrophic damage to US allies, not to mention the US itself. Surely, the US must have a mechanism, under its explicit control, to prevent the targeting of states that it doesn’t want targeted? David Morrison is the co-author of A Dangerous Delusion: Why the West is Wrong about Nuclear Iran (published by Elliott & Thompson, 2013). Morrison has written many articles on the US-led invasion of Iraq.